See Sarah Swatch: Twinsie Tuesday Goes Indie! Happy Twinsie Tuesday once again! Today's challenge could not be more up my alley hahaha. This week's challenge was to show an indie mani. 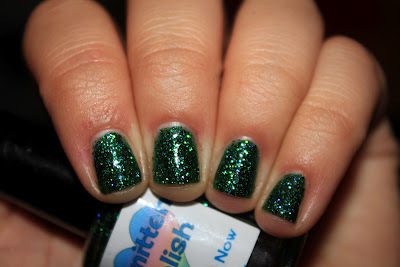 So I have one of my more recent acquisitions, and one of my all time favorite polishes, Smitten Polish's I Want It Now. HOW INSANE IS THIS?! This is definitely in the running for my favorite polish ever. 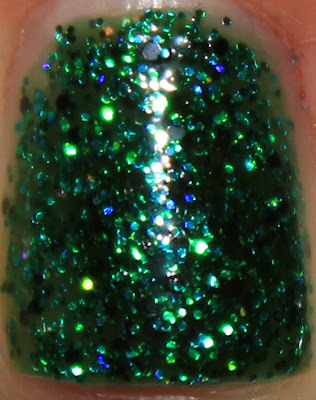 It's emerald green, glittery, holo-y, opaque in 2 coats, jelly, and just absolutely stunning. I have no words for how in love with this I am. It's perfect. Just.. perfect. This definitely beat China Glaze Emerald Sparkled in the Favorite Green EVER category. It's the holo and black glitters that do it. Excuse me while I cradle my bottle of IWIN [also, great acronym!] and drool some more. I agree- this is super stunning and I can see why it's in the running for your top spot ;) Very pretty!! thank you!! it's even better in person! Wow this is a pretty great green! OOOO! This is such a pretty fun green!!! Sarah our fellow indie lover! this great! Is it kinda like Hungry Asian Sea Creature? 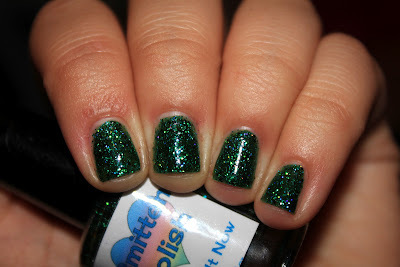 I love green glitters! Amazing! I've been lemming some Smittens and your post isn't helping my restraint! Great choice..this is a beauty! I have such beautiful Smittens! This one is gorgeous! Smittens are one of my favorite lines! Great polish! 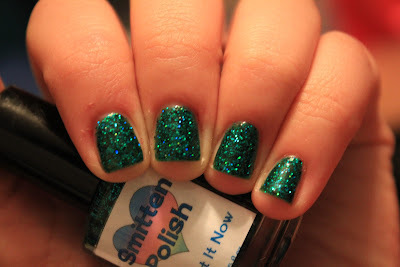 I just love Smitten Polish! Pretty! I have been lemming some Smitten!